Cal McCorkle has lived in Bluewater Bay his whole life. He works two jobs to support a brother with a laundry list of psychiatric diagnoses and a great uncle with Alzheimer’s, and his personal life amounts to impersonal hookups with his boss. He’s got no time, no ambition, and no hope. All he has is family, and they’re killing him one responsibility at a time. 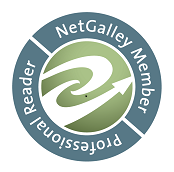 I have to admit for someone who was initially so resistant to the idea of audio books I've certainly done a 180 on that opinion...moral of the story...'never say never'. Narrated by Nick J. Russo one of my favorite narrators. I had zero doubt that I was going to enjoy this and happily I was right. 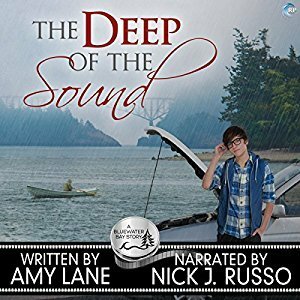 While Amy Lane is an auto-buy for me when it comes to e-books, Nick Russo is becoming her equivalent when it comes to audio books. Mr. Russo's voices are solid and without fail he has the ability to draw me into a story effortlessly with his solid and consistent voices and his ability to help define a characters personality through their voice. For me there were no surprises here one of my favorite authors teamed up with one of my favorite narrators to create yet another very enjoyable listening experience for fans of audio books, so needless to say my original rating of 5 stars remains unchanged and 'The Deep of the Sound' remains an incredibly enjoyable story whether it's reading or listening this one's definitely worthwhile. An audiobook of 'The Deep of the Sound' was graciously provided by the publisher in exchange for an honest review.